Facebook’s interaction Ticker that used to appear at the top of your right-hand column on Facebook is now gone. Will you miss it? Facebook is no stranger to tests, big changes, and killing off features – old, new, popular, or not. One day, a feature just… disappears. Sometimes there’s an explanation, sometimes not. 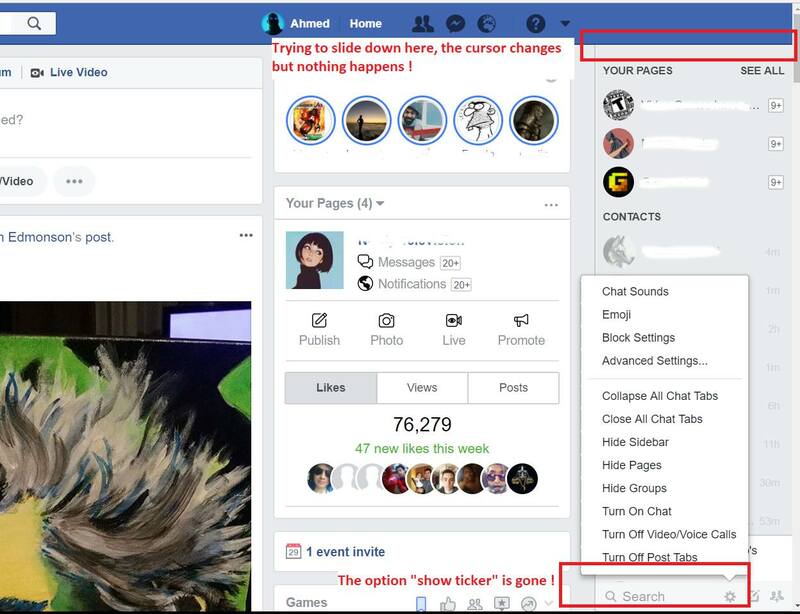 As Facebook continues to experiment with different layouts, no feature is safe. The recent disappearance of a six-year-old feature, affectionately known as the “creeper ticker,” is proof of this. It took a question on Facebook’s Help Community to find out that its Ticker feature is now gone. It took Facebook around a week or two to answer very casually, “This feature is no longer available.” No further explanation. That’s it. The ticker’s gone. And my question is: How many of you even noticed it was gone? I certainly didn’t. Facebook’s “creeper ticker” is now gone. Will you miss it? The Ticker was launched in 2011, at a time when Facebook was introducing its algorithmic News Feed and the feature complemented that effort by giving users a look at what their friends were up to. At a time when Facebook was moving towards algorithmic ranking, the Ticker provided a better view of what friends were interacting with – live. Users who didn’t appreciate it could simply mute it – and turn it on if they wanted it back. But now, the Ticker is gone. Will you miss it? I won’t.